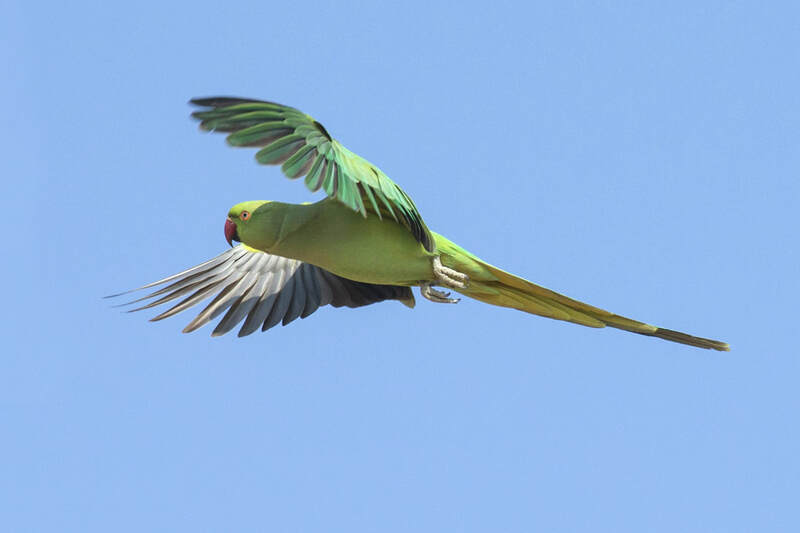 There is no mistaking it when a rose-ringed parakeet lands near you. 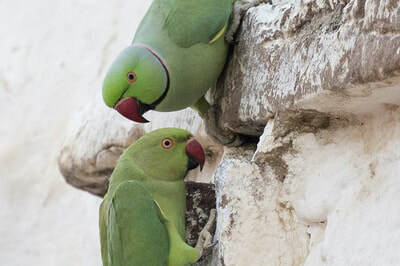 Loud in both plumage and voice, their brilliant green color and loud squawking call demands attention and makes this character an active, and unmissable inhabitant of the ashram as well as most of India. 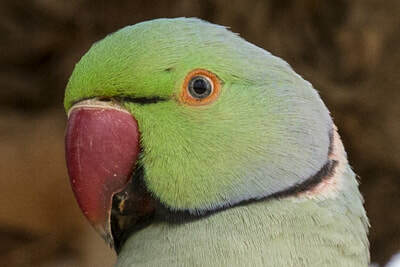 This noisy species is one of the few parrot species that have successfully adapted to living in disturbed habitats and has been able to has withstand the onslaught of urbanization and deforestation. As a popular pet species, escaped birds have become established in a number of cities around the world, including Northern and Western Europe. 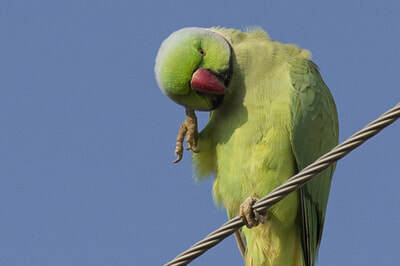 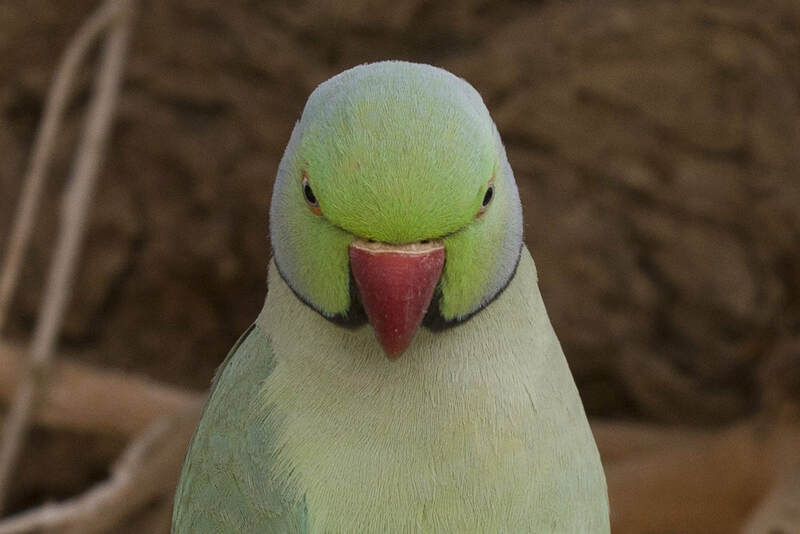 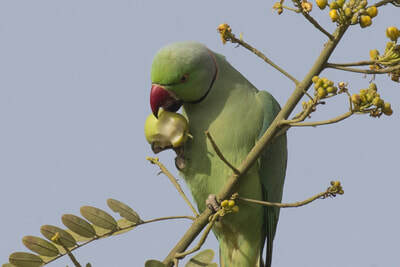 ​In the wild, rose-ringed parakeets usually feed on buds, fruits, vegetables, nuts, berries, and seeds. Large flocks often fly several miles to forage in farmlands and orchards, causing extensive damage, and making the species highly unpopular with farmers.I’ve included an amazeng picture ©Vivek rathod17 from Wikimedia to show you the threat they pose to farmers’s crops. If you love nature, you just have to be fascinated by its wide variety and how each species lives their life. 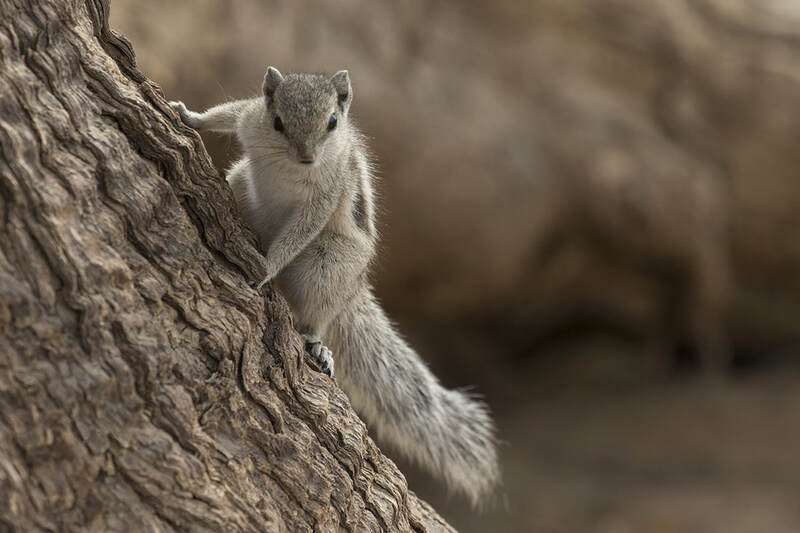 No matter how small or seemingly insignificant, each has a place in this world and all are civilizations with their own special skills, adaptations and behaviors that have evolved over the eons. 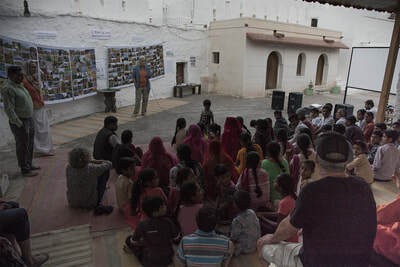 Take a look at the pictures above. 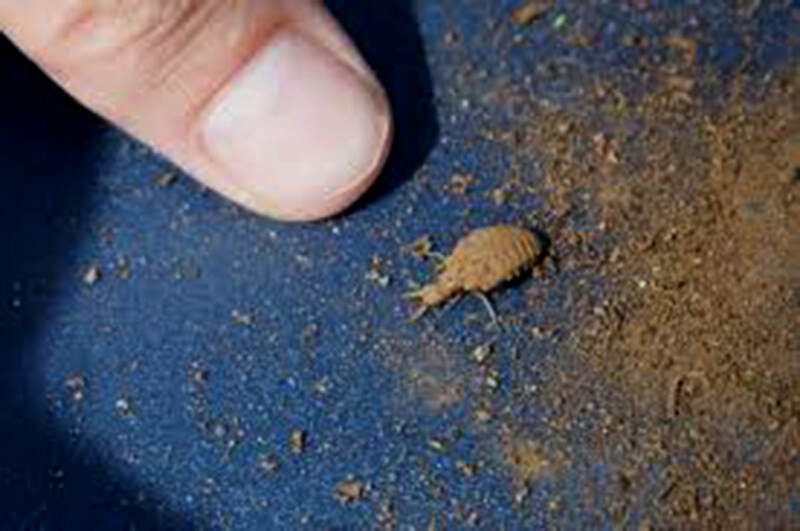 The small, conical depression, only about 3 cm deep and 5 cm wide at the edge are often found in loose dry soil or sand are made by the fiercely predatory larvae of the antlion. 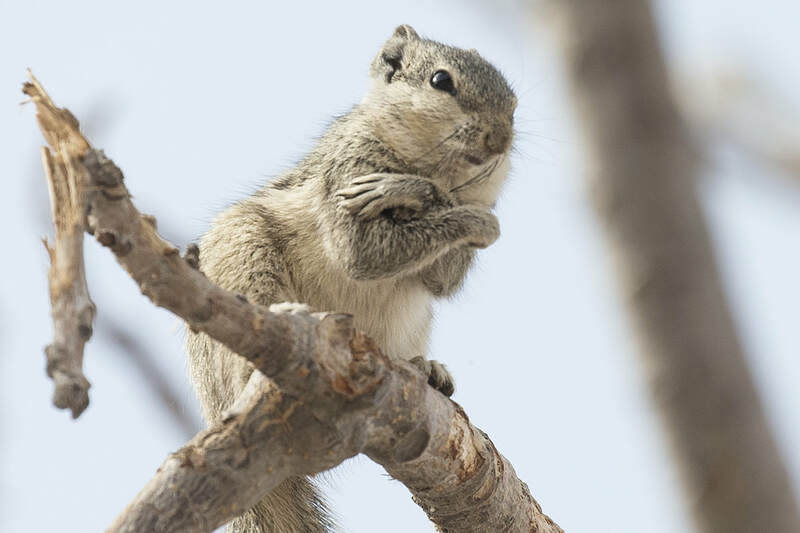 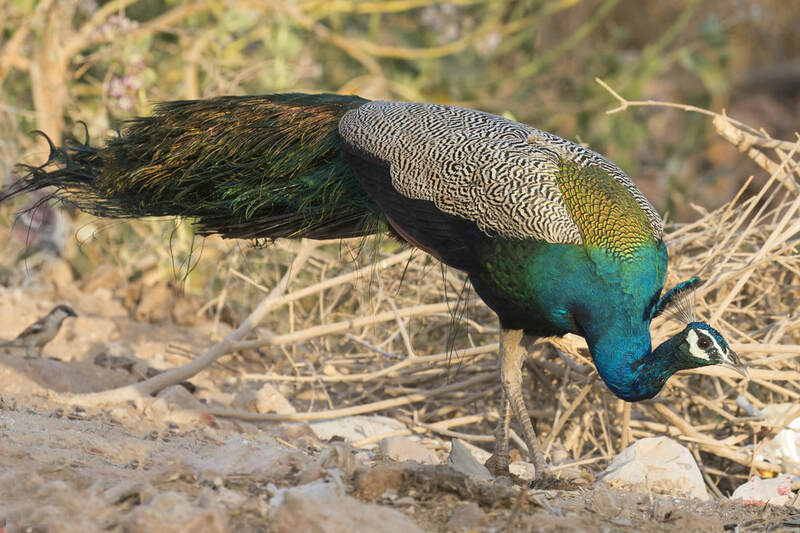 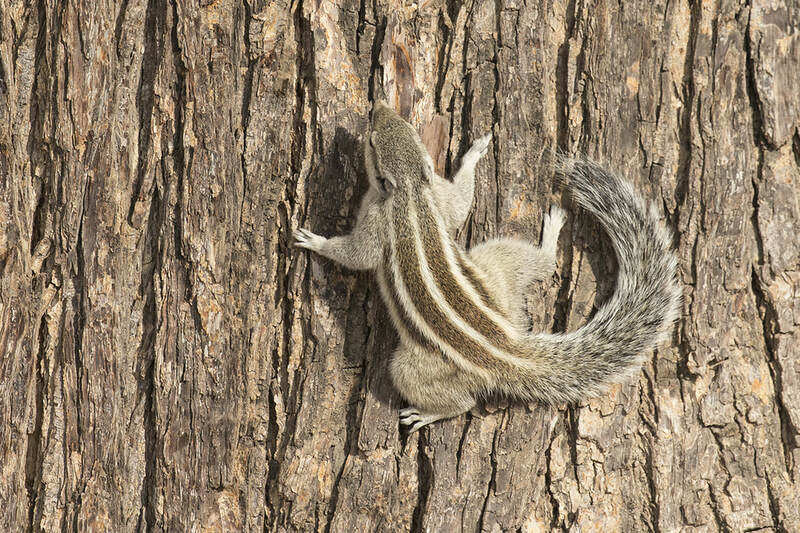 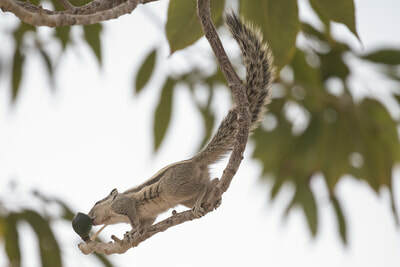 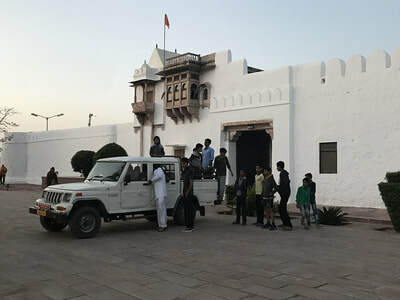 Species in this family are found around the world and are as common in Red Rock Canyon or Desert National Wildlife Refuge of southern Nevada as they are on the Ashram grounds in Rajasthan. 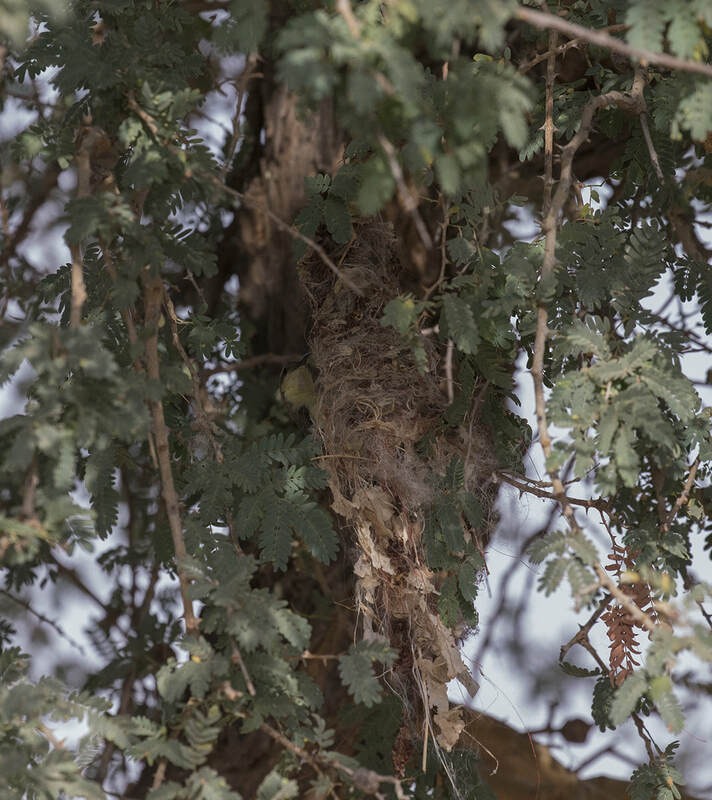 These pits are one of the simplest and most efficient traps in the animal kingdom. 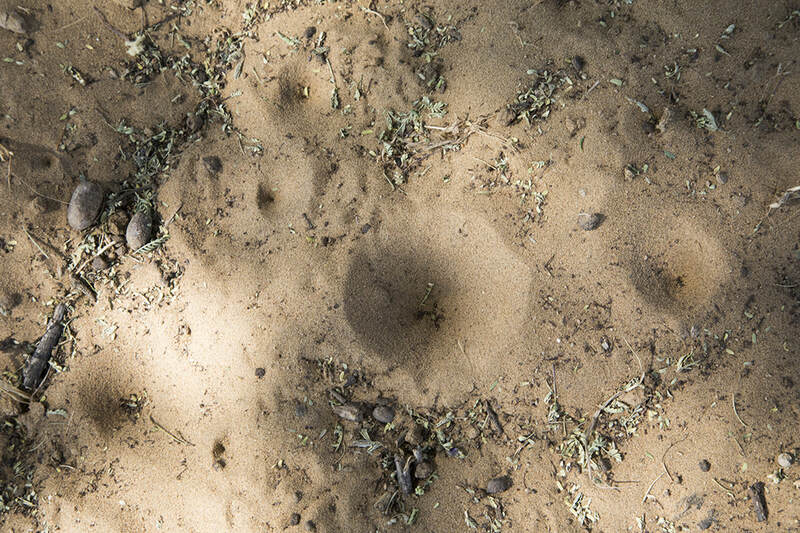 After expertly digging the pit the antlion larvae buries himself in the center of the pit with just his deadly jaws extended … and patiently … very patiently, waits … and waits, until an unsuspecting ant tumbles into his trap. The pit trap has been carefully constructed, with the sand exactly at the angle of repose, so the slightest disruption by a small insect will cause the pit walls to collapse and slide the insect, on an avalanche of sand, down toward the beckoning jaws of the antlion buried in the center. 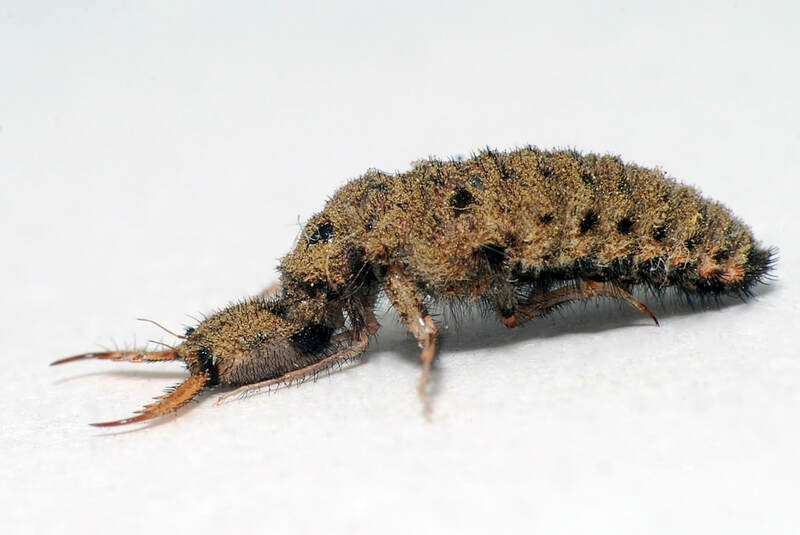 If the ant tries to climb his way out of the pit the antlion starts expertly heaving sand with his head. 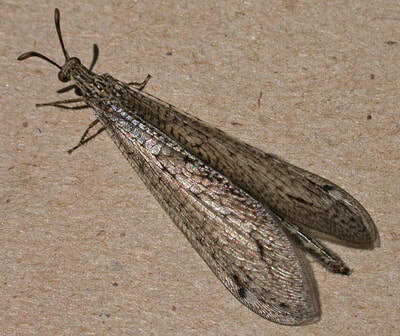 With the accuracy of a major league pitcher, the antlion is able to knock his unfortunate prey back down. After as much as two years of dwelling in a pit trap, the larvae will form a small cocoon and adults will emerged as a beautiful, delicate, flying insect that is reminiscent of a lacewing or damselfly. 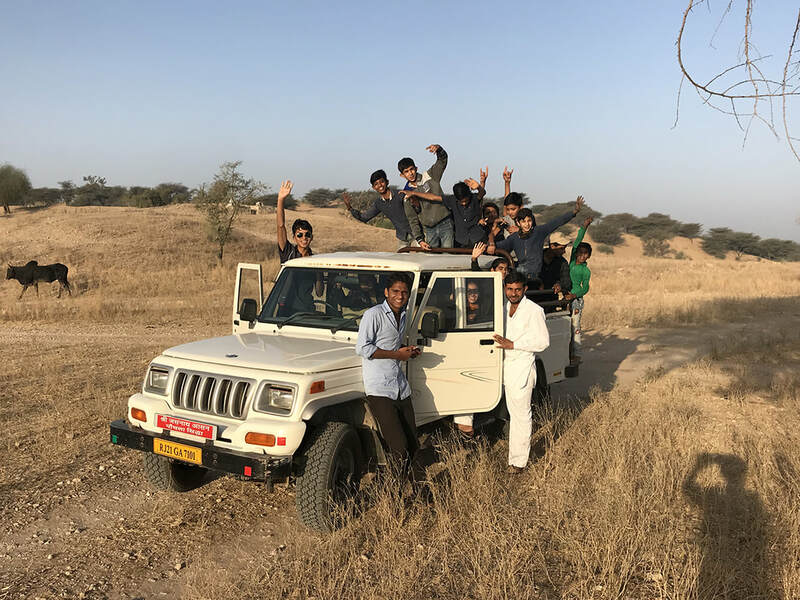 Take 19 Rajasthani boys and girls, 2 drivers, 3 ashram guests (drafted to become photographers and assistants) and don’t forget Rocky, Jogesh, and Kunal then-stuff all of them in two small vehicles, add to it 3 pairs of binoculars, 6 cameras, and a bird book and you have the makings for an amazing outing to birdwatch, photograph, and explore the natural world at Karmlai Pond. 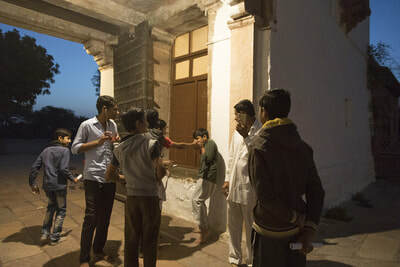 The day started before the sun was up. We met at the main fortress gate of Shri Jasnath Asan at 6:30am. 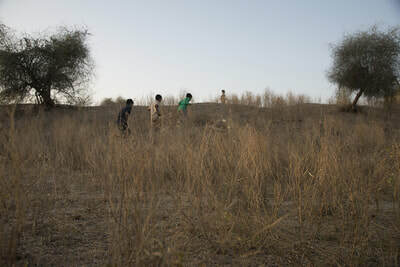 Loaded up and headed out, reaching the pond just as the giant orange Rajasthani sun was rising above the horizon. 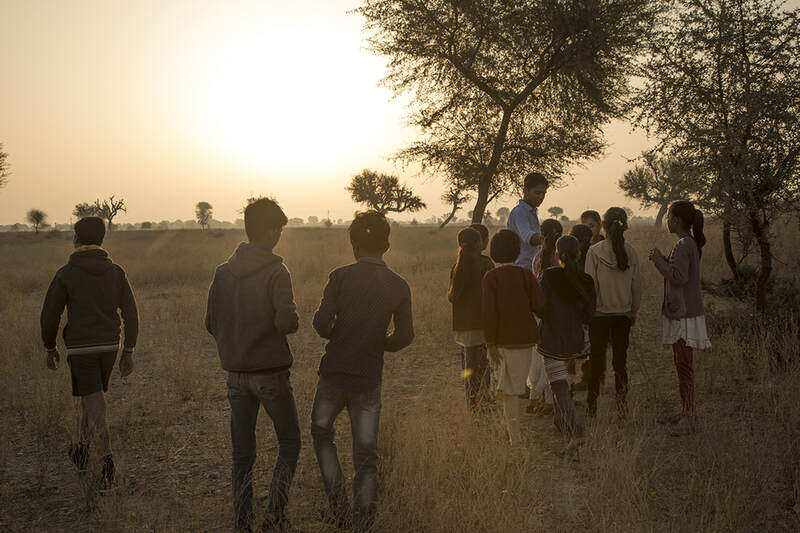 It is especially in this morning tide of dawn, in the beauty and still of a sunrise, that I am always reminded of what a privilege it is to be alive. 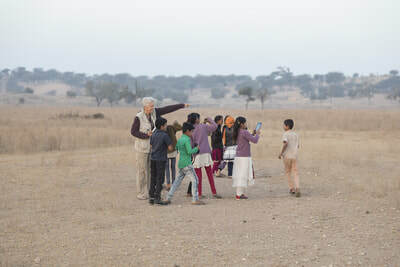 The morning was spent discovering and appreciating the wildlife and plants that flourishes in this arid land. 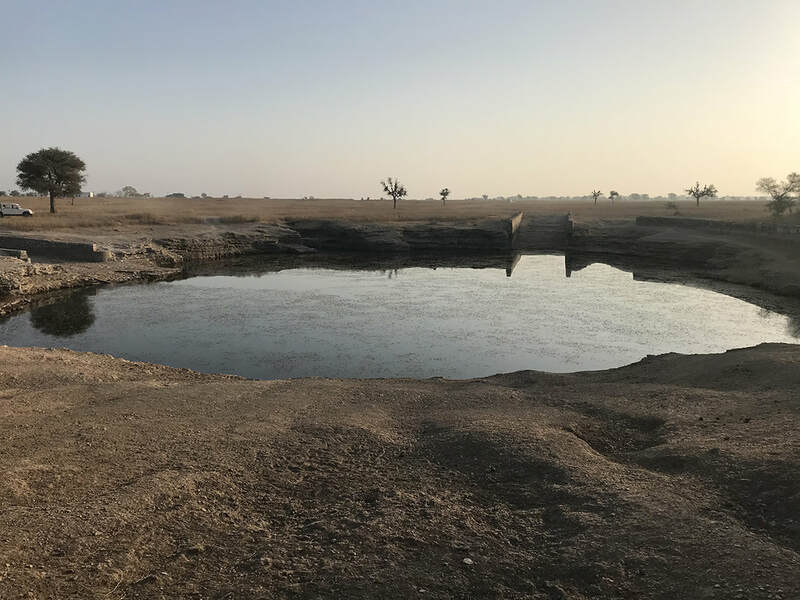 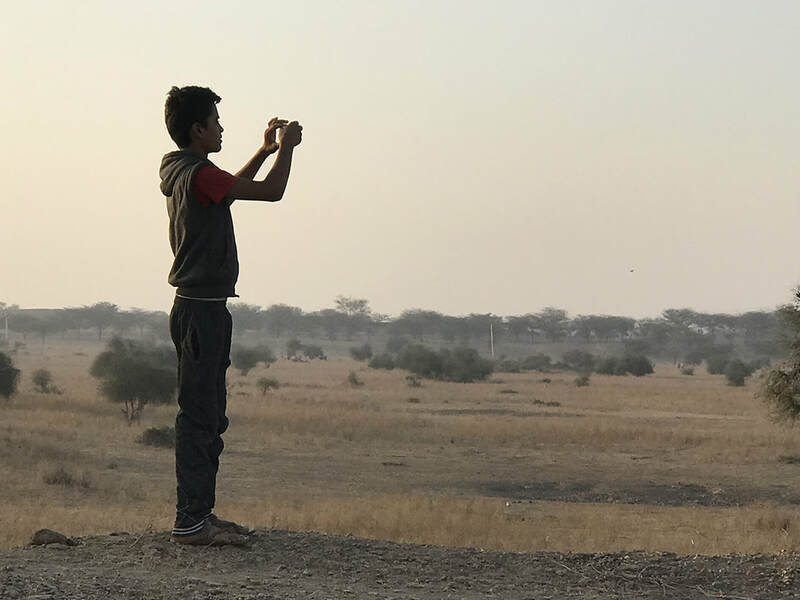 We saw nilgai (Blue Bull or Indian Antelope) and chinkara (Indian gazelle) red-wattled lapwings, little grebes, Indian robins, and purple sunbirds, as well as laughing, red collared, and Eurasian collared doves plus so much more. 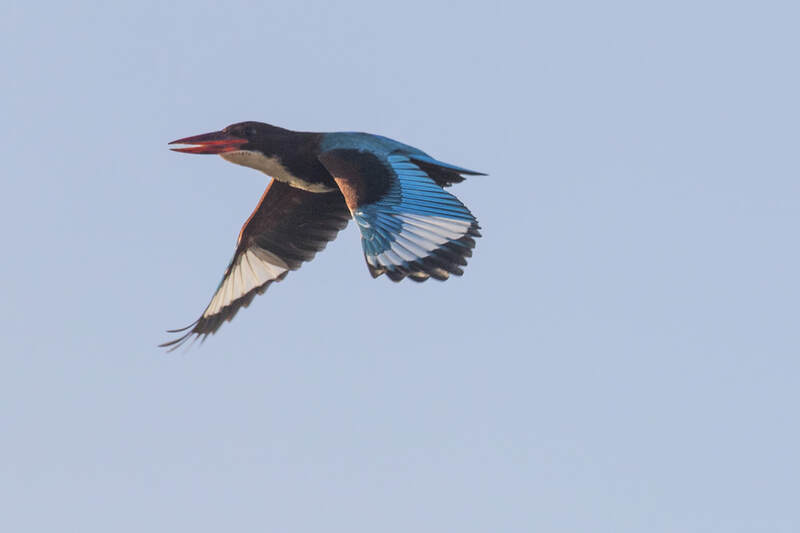 The students saw three spot-billed ducks whose bill tip looks like it was dipped in brilliant orange yellow paint and of course they loved the magnificent white throated kingfisher, with its brilliant turquoise flash of wings, as it hunted above the pond. 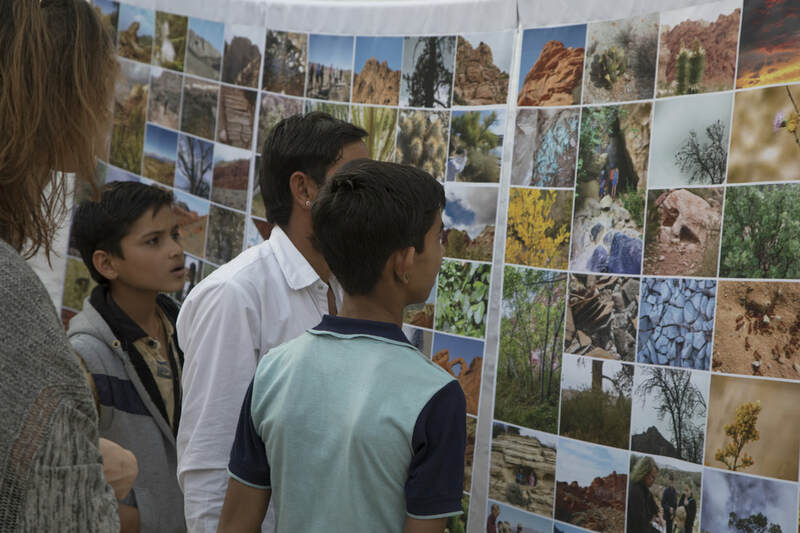 Hopefully, this outing has changed a few hearts and minds, strengthened our ties to the natural world, and reminded us of how generous this planet is in its sharing of nature's beauty and magic. 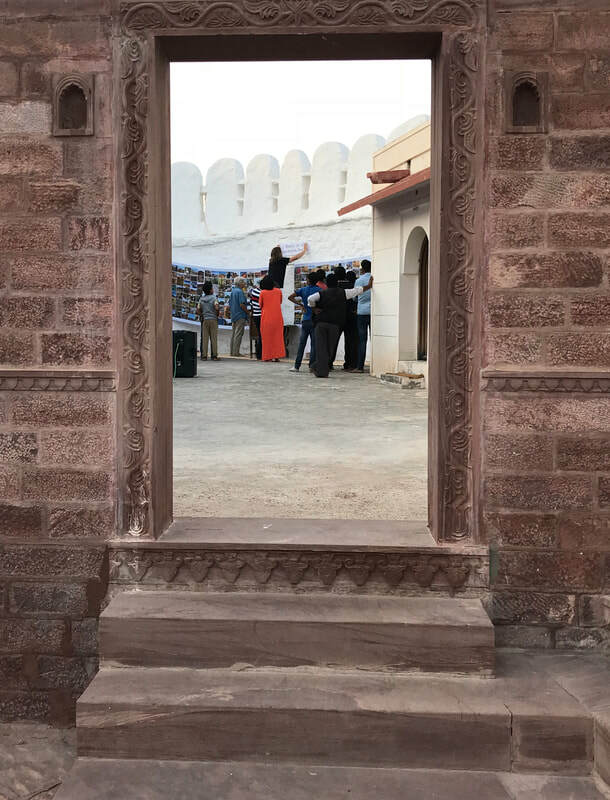 The magic is always here, just waiting for us. 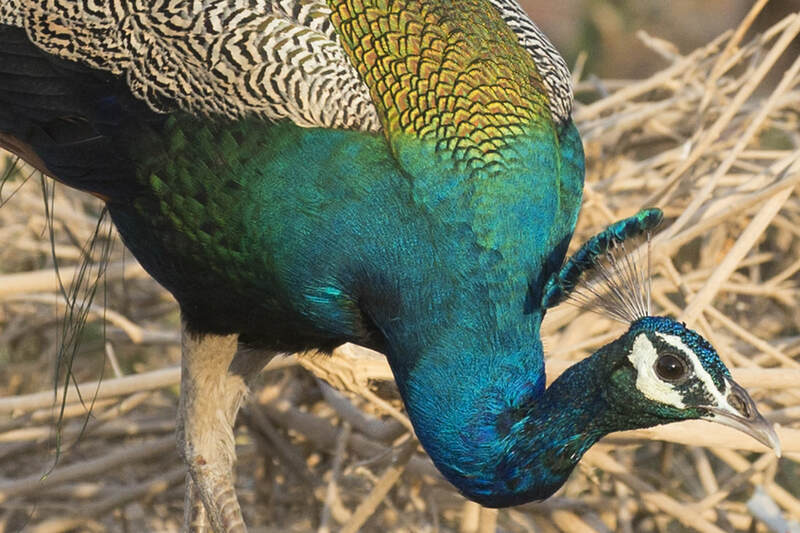 We just have to take time to mindfully and respectfully enter its realm. After our discoveries we returned to the Ashram to a fabulous breakfast. 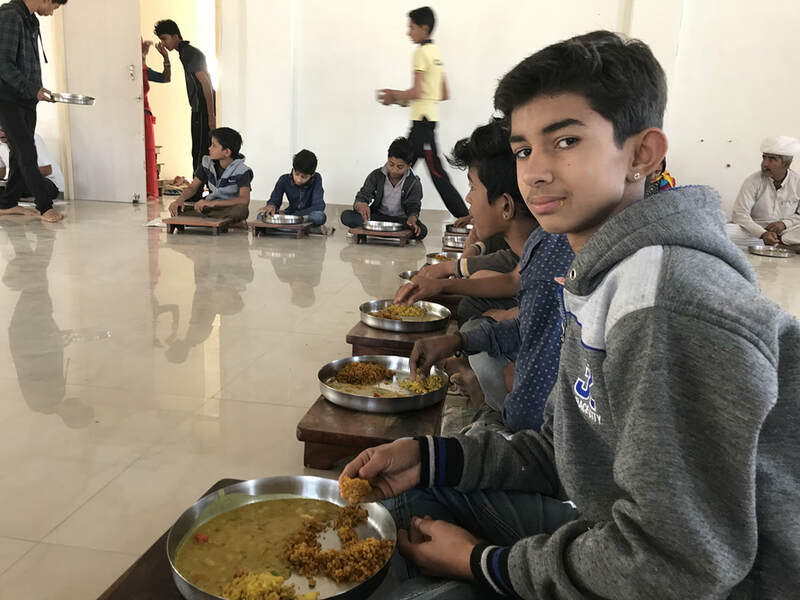 The breakfast and the morning could not have been better. 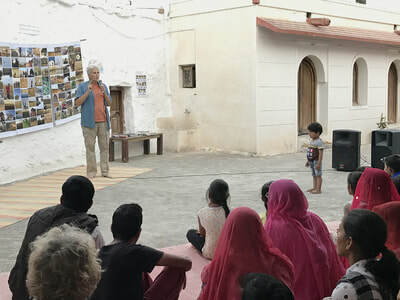 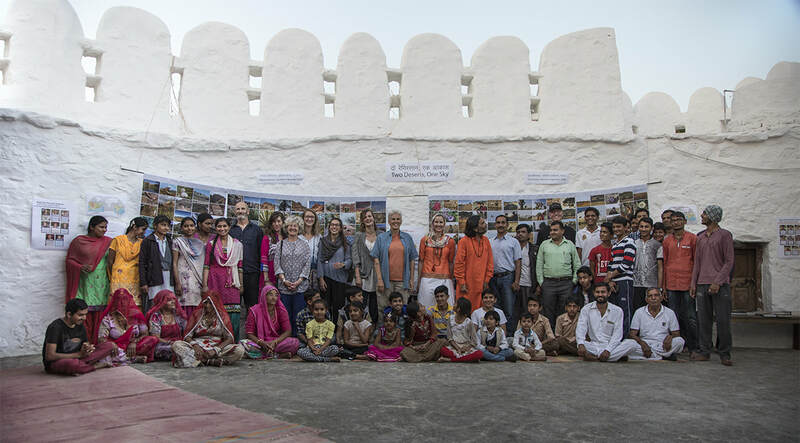 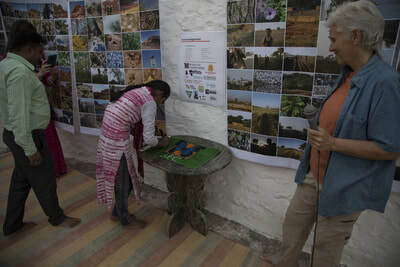 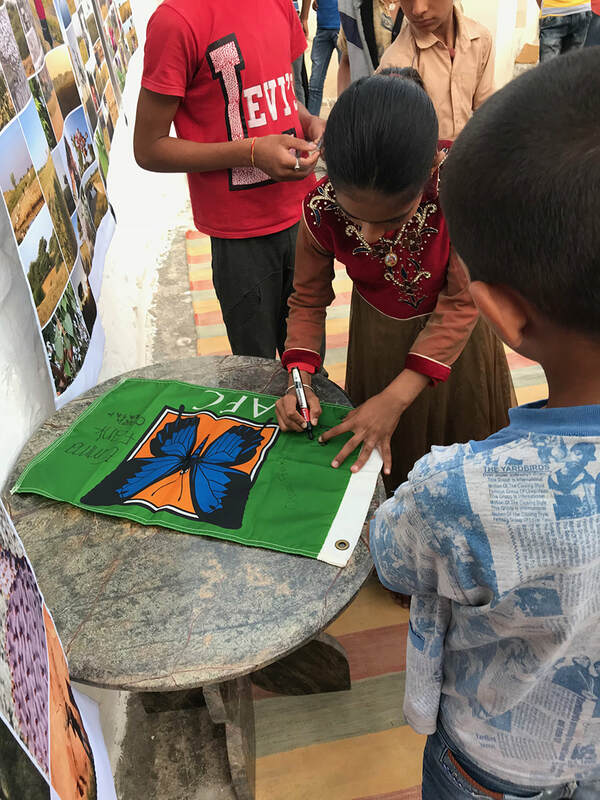 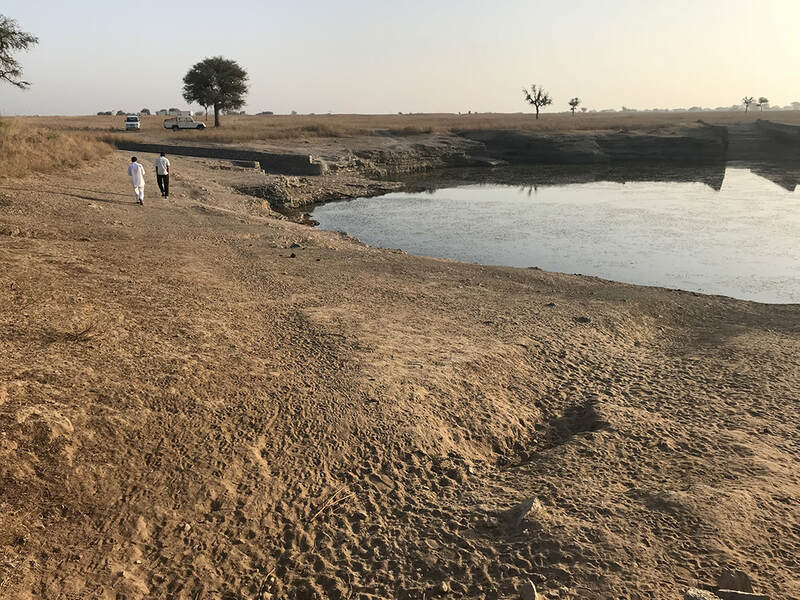 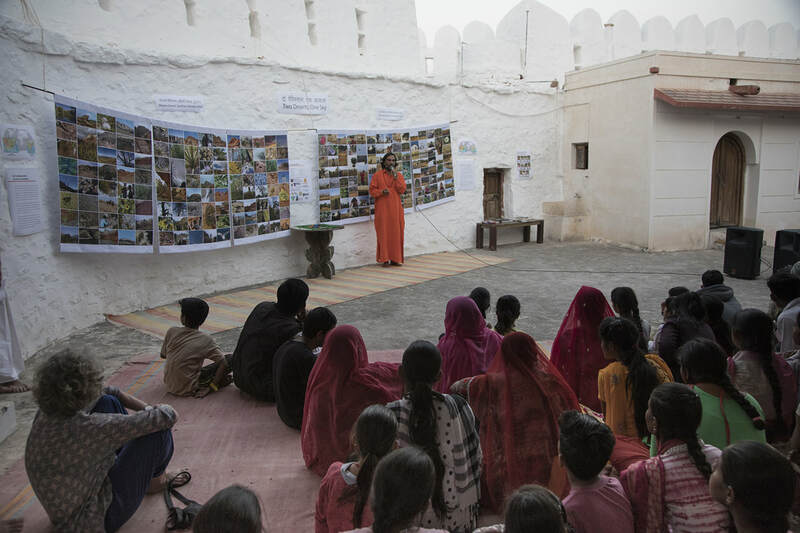 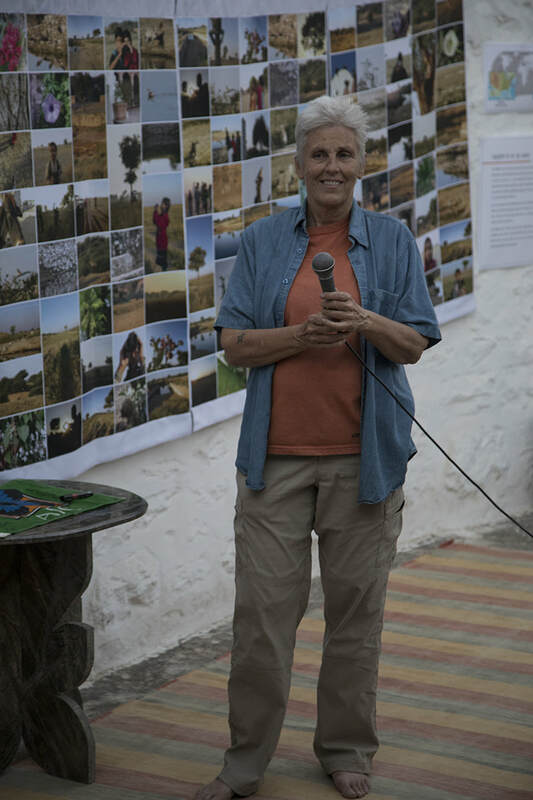 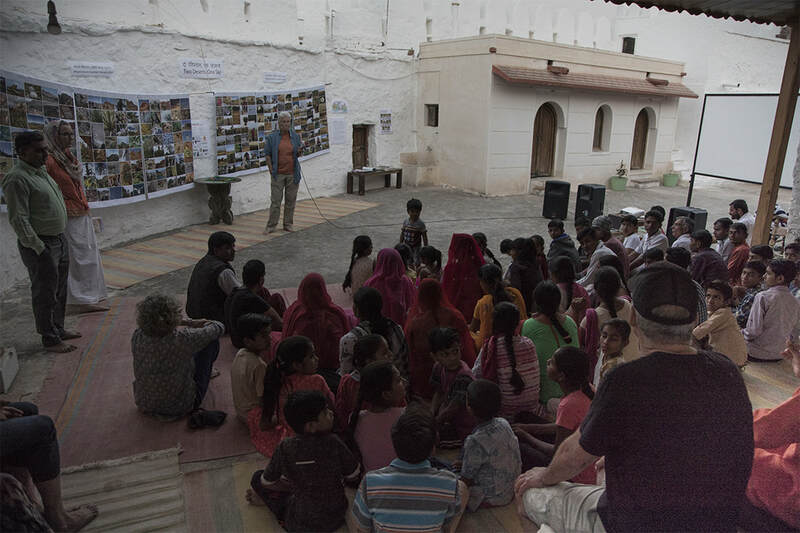 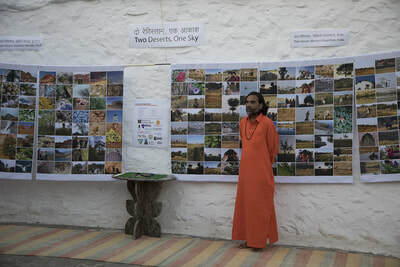 I am pleased to announce that the Two Deserts, One Sky project had its first event for 2018 in Rajasthan this afternoon. 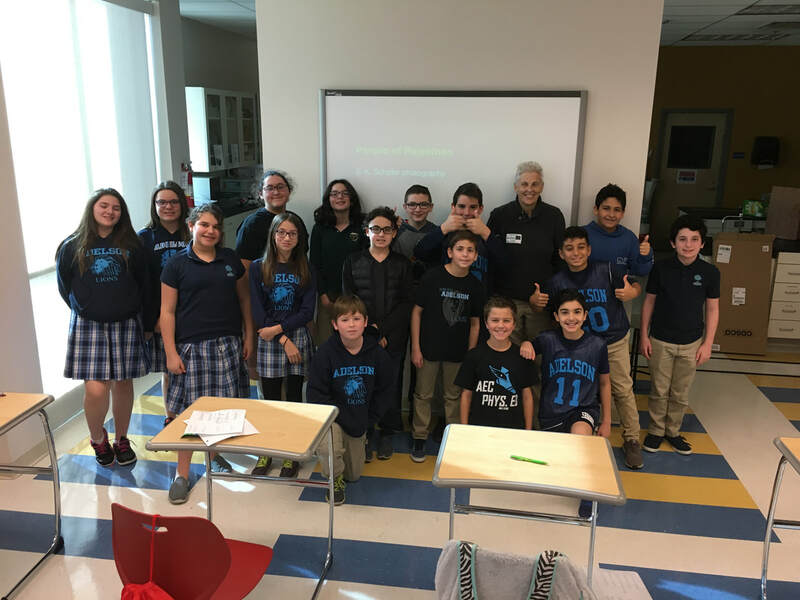 Back in southern Nevada, Paula Jacoby-Garrett and her 6th grade Earth Science class at Adelson Educational Campus has already been following my posts and studying the Rajasthan’s Thar Desert and their own Mojave Desert of Southern Nevada. 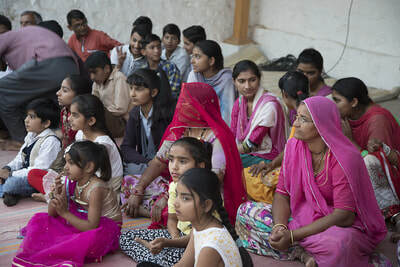 It is our hope that by getting a conversation going between cultures on different continents we will help each group realize that there is far more that unites us than divides us. 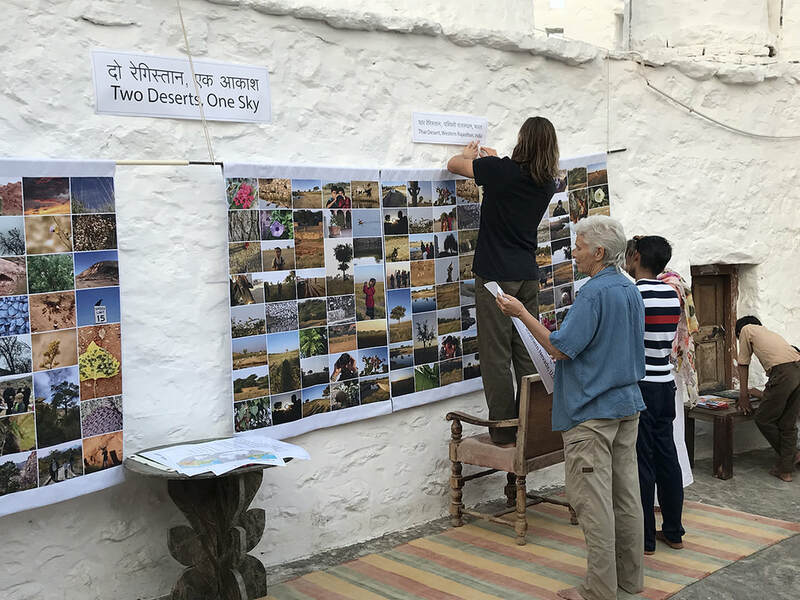 The Two Deserts, One Sky Project is committed to fostering an understanding between cultures of our shared responsibilities to our fragile planet and to one another. 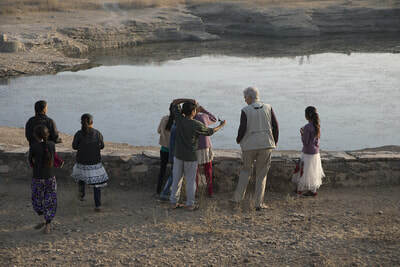 At the crack of dawn, tomorrow, the we will head out to Karmalai Pond, about 2K from the ashram, and arrive there just as the sun is coming up. 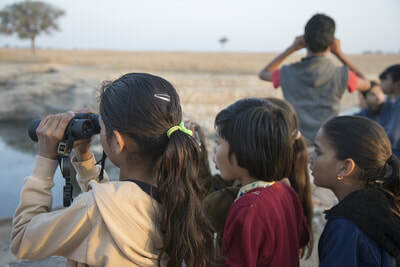 Some of the students returning from last time offered to act act as mentors for the new students and help teach them how to use binoculars and cameras. Concentrating primarily on learning the art of birdwatching, we will be carefully observing the area and photographing what we encounter. 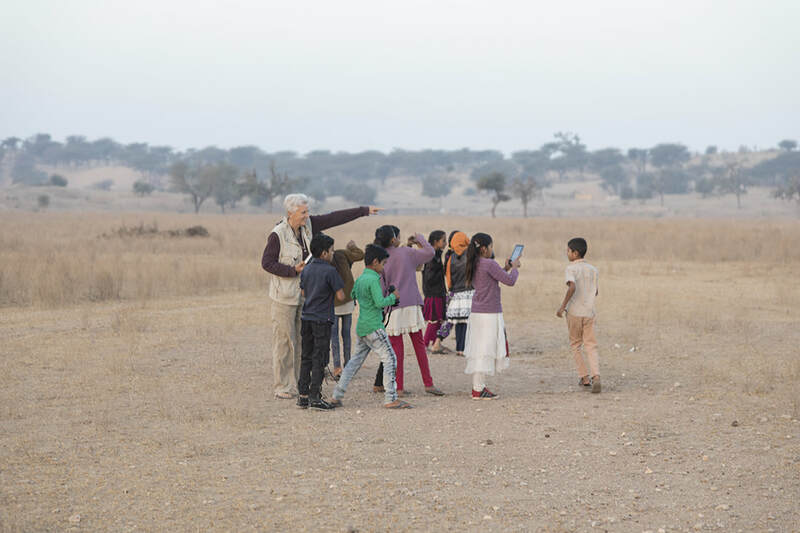 We will let you know what we find. 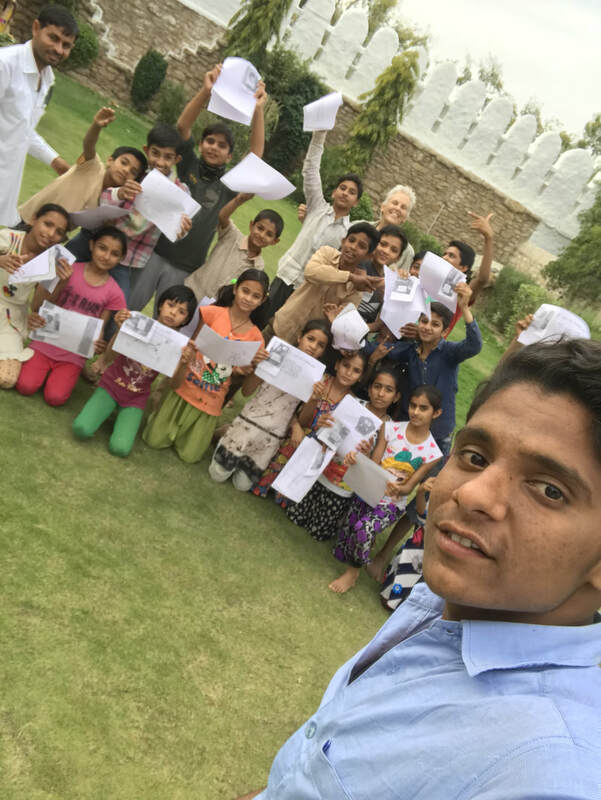 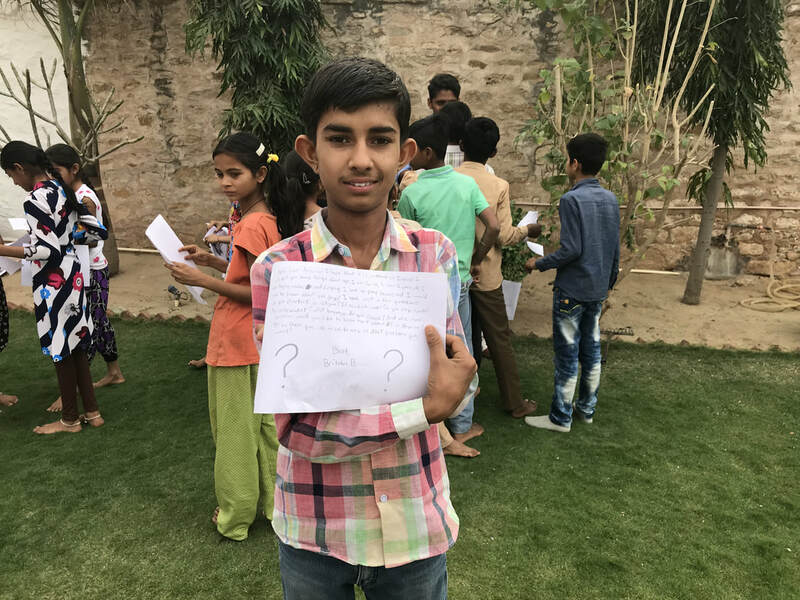 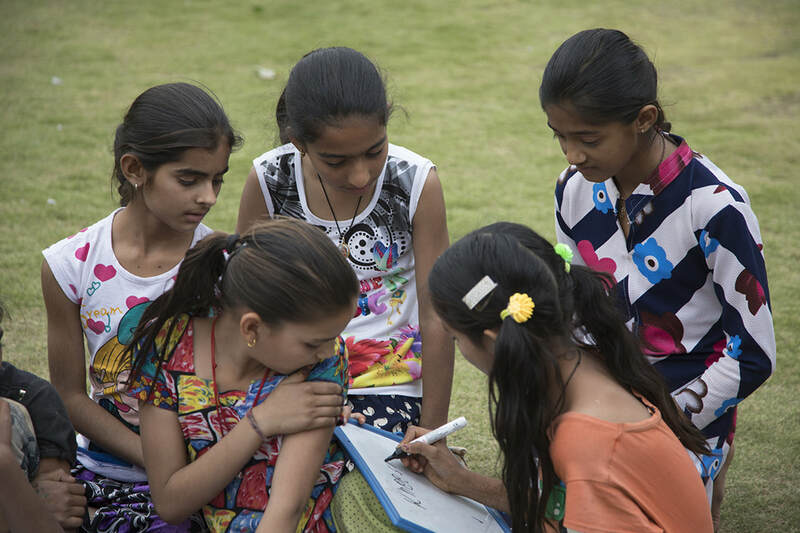 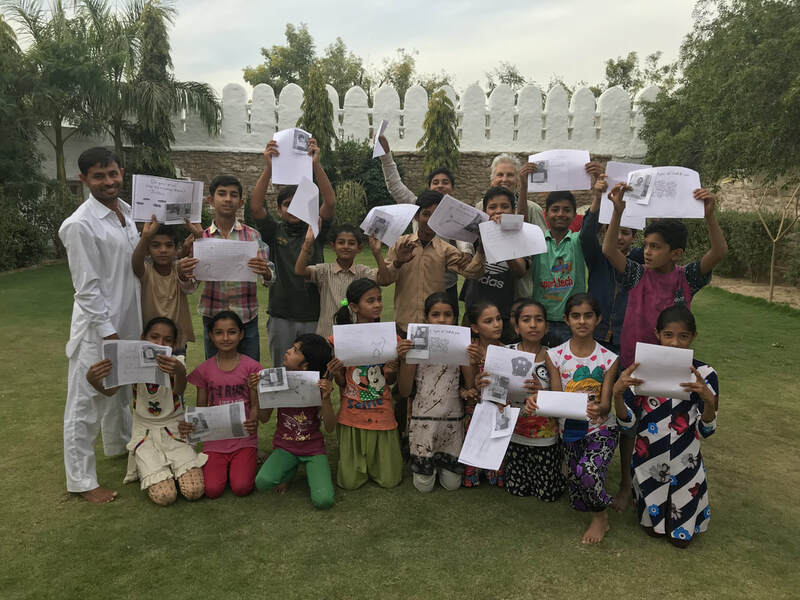 Rajasthan, India students holding letters from students at Adelson Educational Campus, U.S.A.
Adelson Educational Campus Students - Las Vegas, Nevada, U.S.A.
A group of Peafowl is poetically and appropriately, known as an “ascension”. 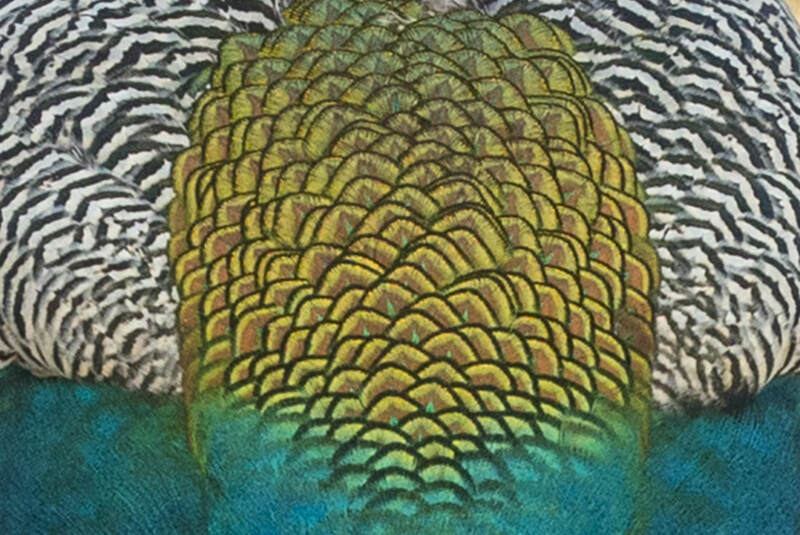 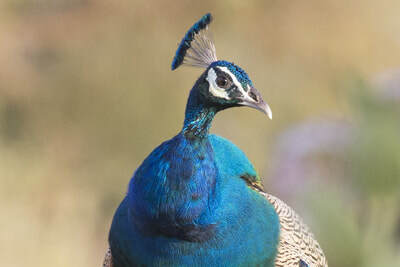 To see the glory of a male peafowl in the wild with their long ostentatious iridescent tails, and sapphire feathered crest, neck, and breast, makes it clear peacocks have ascended to a glorified position in the animal world. 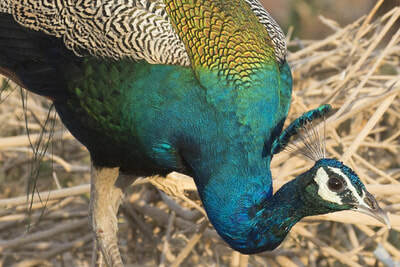 It is not a surprise that throughout history the peacock has been associated with royalty, pride and immortality, and is the national bird of India. 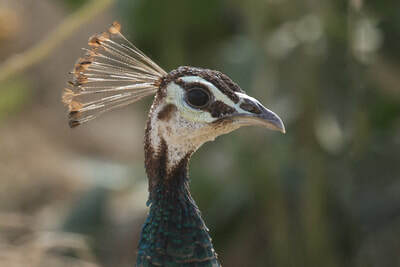 The term peacock is properly reserved for the male; the female is known as a peahen, and the immature offspring are peachicks. 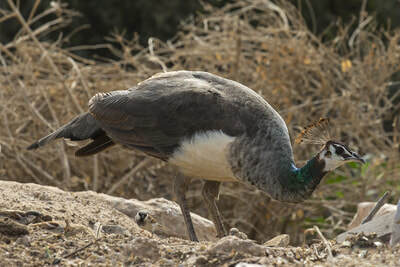 Females are as big as males but lack the magnificent long “tail” or “ train.” This "train," consists not of tail feathers at all, but highly elongated, upper tail covers that grow out from the lower back above the tail. 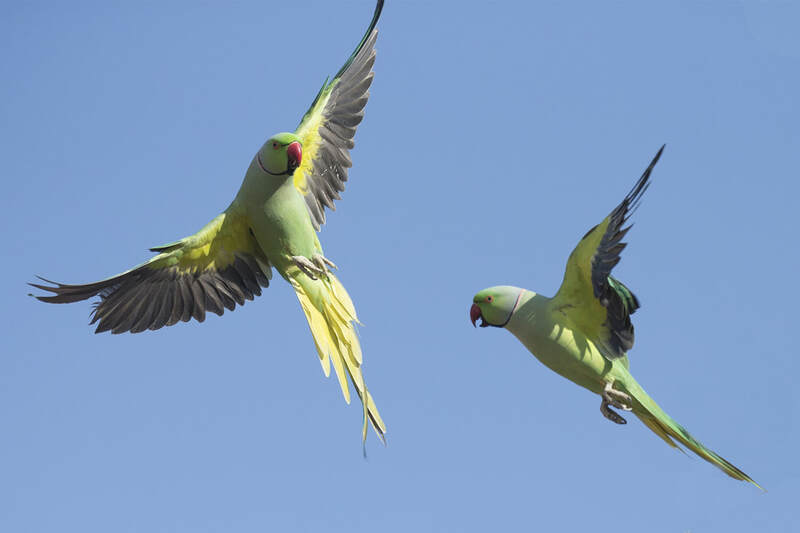 Though awe inspiring and beautiful, they fly about like a cinderblock. Their heavy bodies, short wings, and the male’s massive tail conspirie to ruin their aerodynamics. 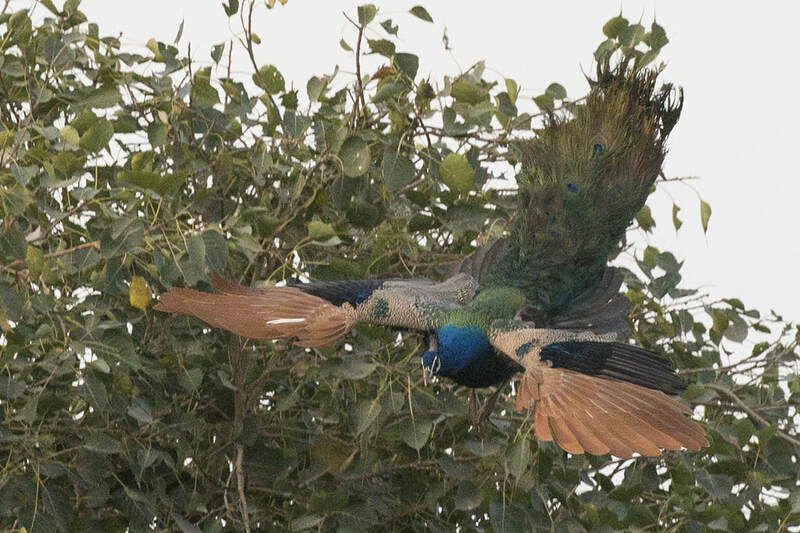 Despite their aeronautical challenges they often fly high into the trees to roost in safety for the night. 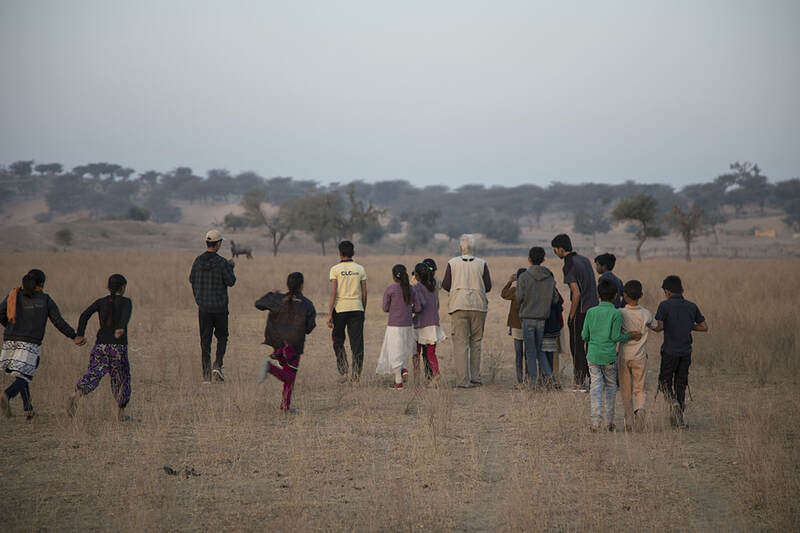 Everyday I see them wandering the fields for food happily eating anything they can stuff in their mouth and digest; plant parts, flower petals, seed heads, insects and other arthropods, reptiles, and amphibians. Visit http://www.iucnredlist.org/details/22679435/0 to learn more. 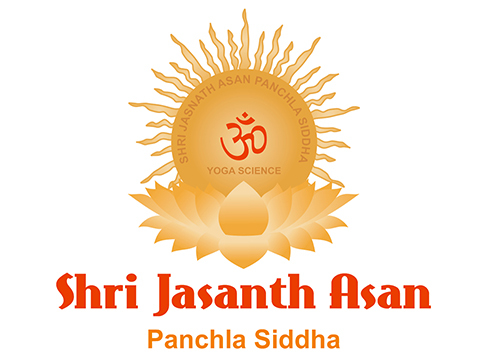 SHRI JASNATH ASAN COLLEGE SCHOLARSHIPS!!! 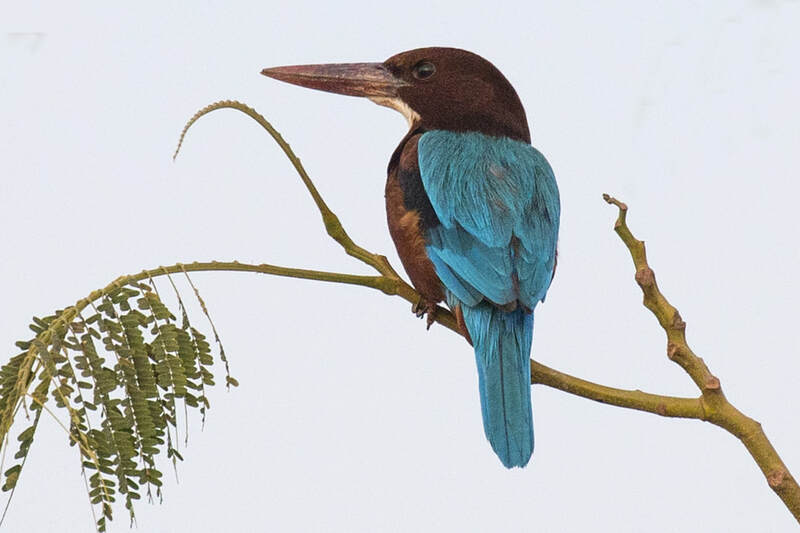 This often quoted line was spoken by Baba Dioum, a Senegalese forestry engineer during a presentation in New Delhi in 1968, at the General Assembly of the International Union for the Conservation of Nature and Natural Resources (IUCN). 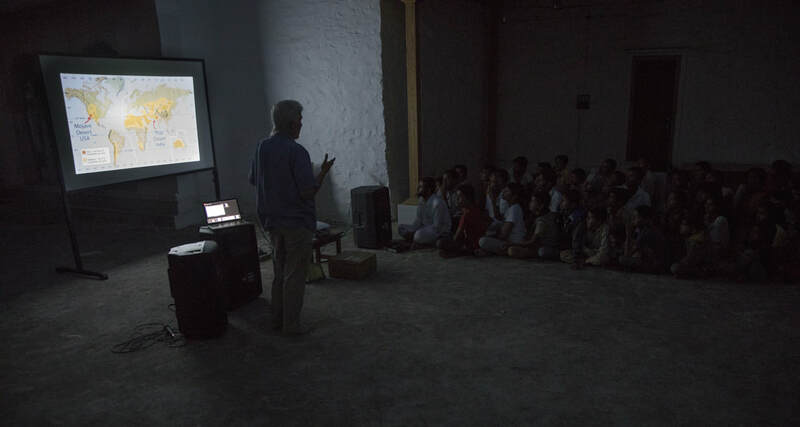 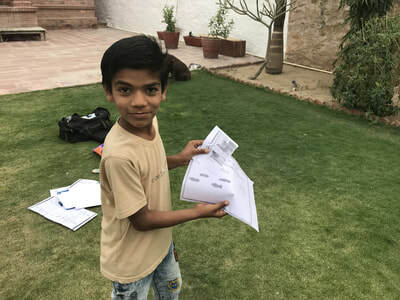 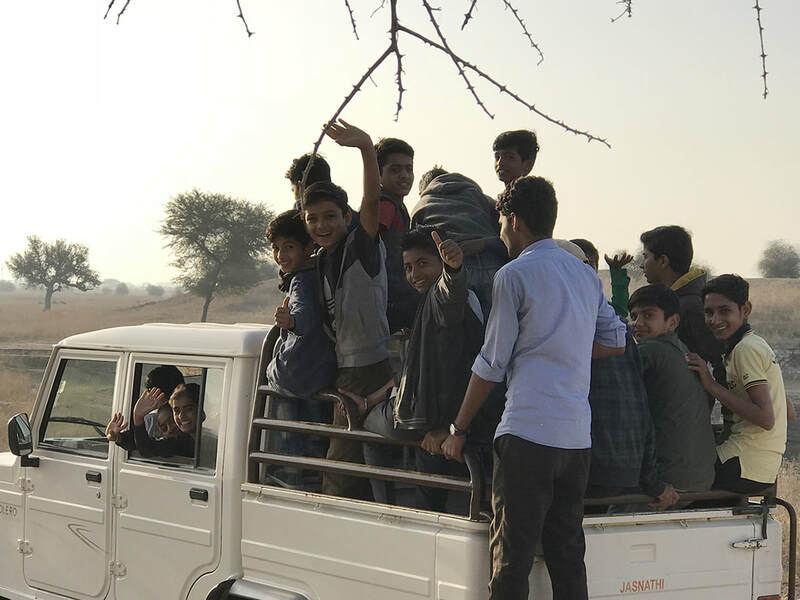 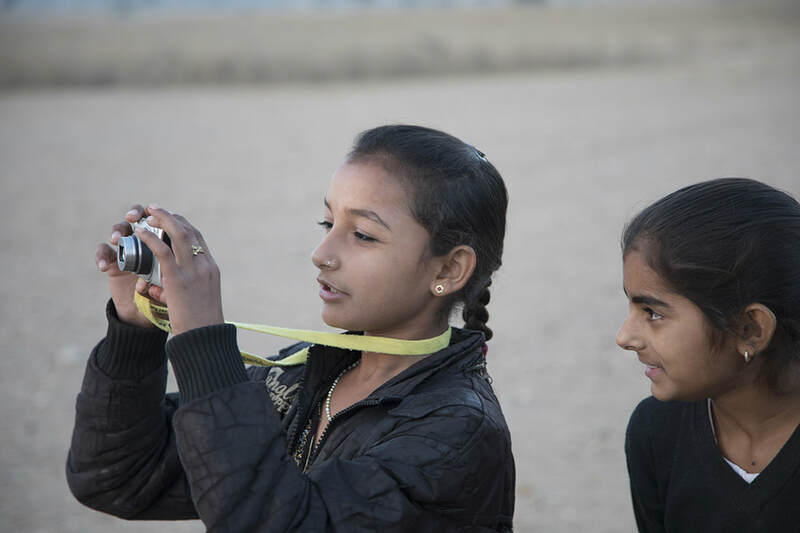 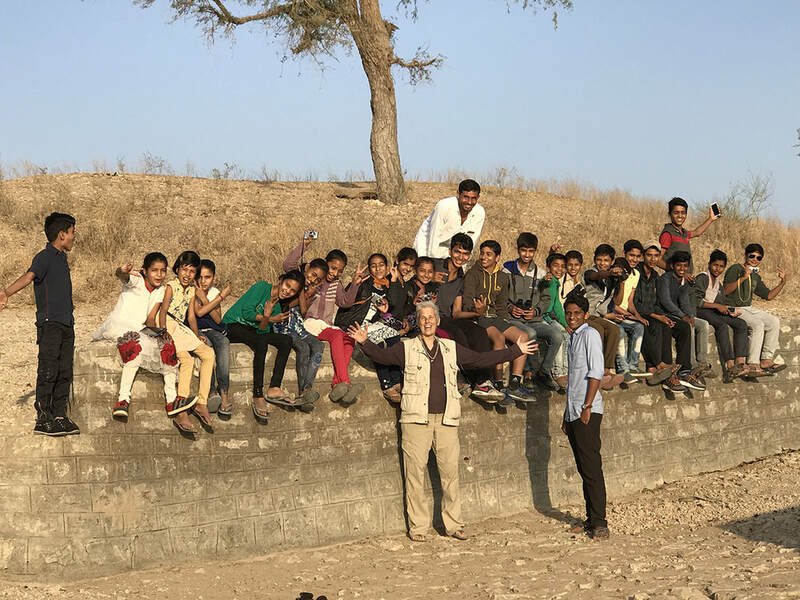 With his sound observations in mind, I am excited to announce full college scholarships for two students from Panchla Siddha, Rajasthan to any University in India in order to obtain a BS degree in Wildlife Biology or Environmental Education. 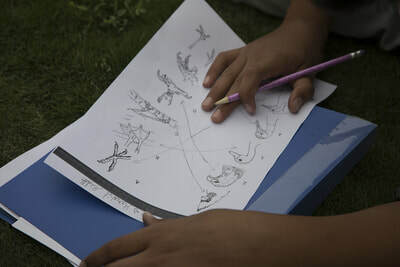 The two scholarships will be awarded to a boy and a girl, one in 2019 and one in 2020, These scholarships will provide two village student with funding necessary to pursue a career in the field of conservation. 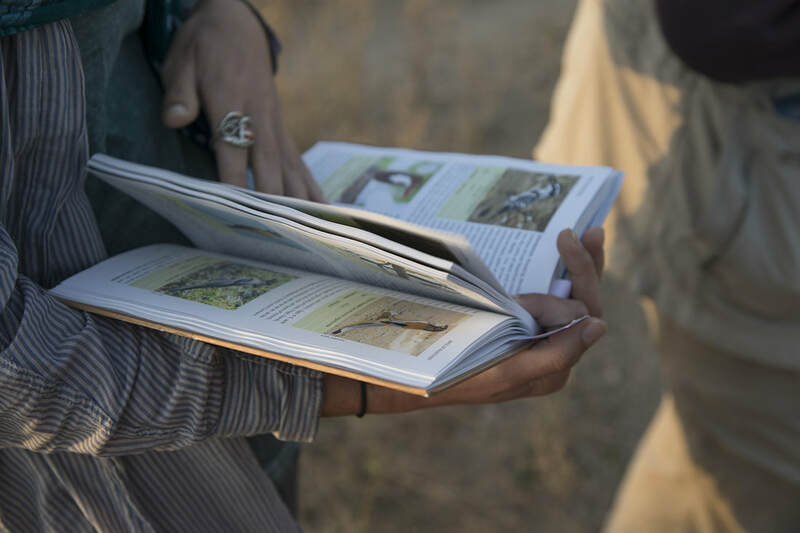 I believe that we must have reverence for the natural world, but we must also have the knowledge, training, and skills to turn a deep reverence into a conservation or land ethic. These trained scientists and environmental educators will help us continue our work to protect the beauty and diversity of the great wild places of our planet for the next generation. 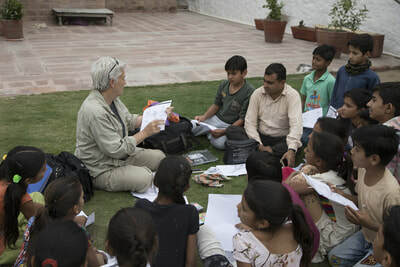 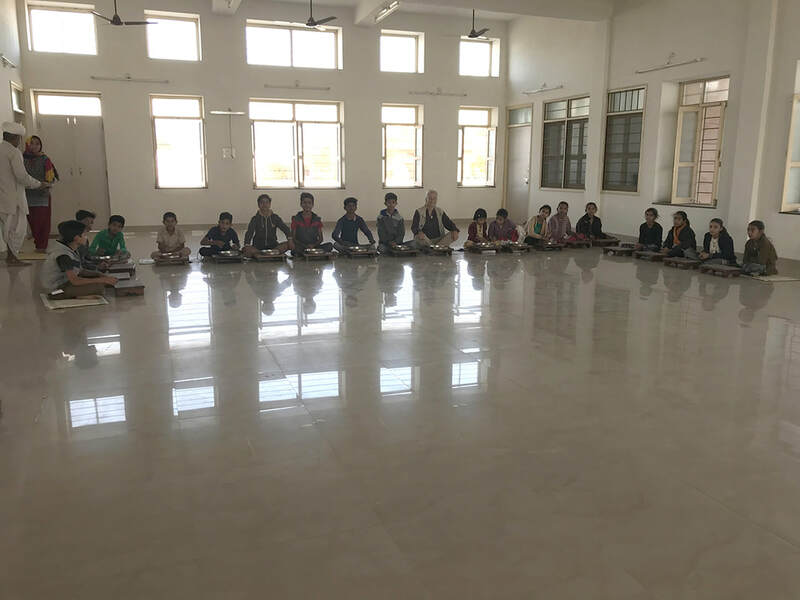 One scholarship will be funded by the Shri Jasnath Asan Trust http://www.shrijasnathasan.org/shridev-jasnath-trust/. The second scholarship is half funded by the great generosity of Jessica Pociask, founder of WANT Expeditions https://wantexpeditions.com of Traverse City, MI with the remaining funding obtained through a GoFund crowd-sourced campaign. 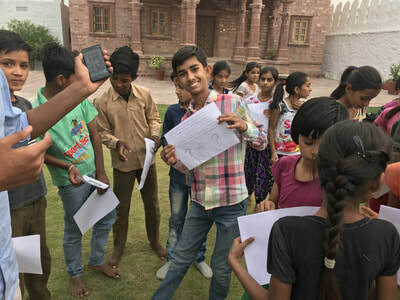 ​If you are interested in donating - stay tuned. 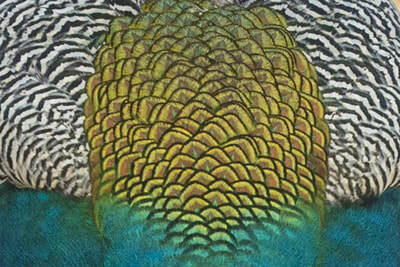 I will be sending out specific information, as soon as it is available. 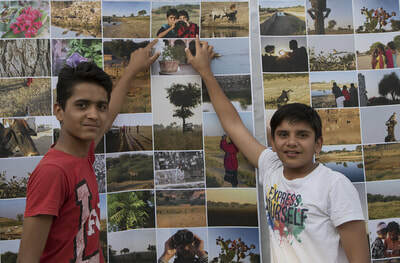 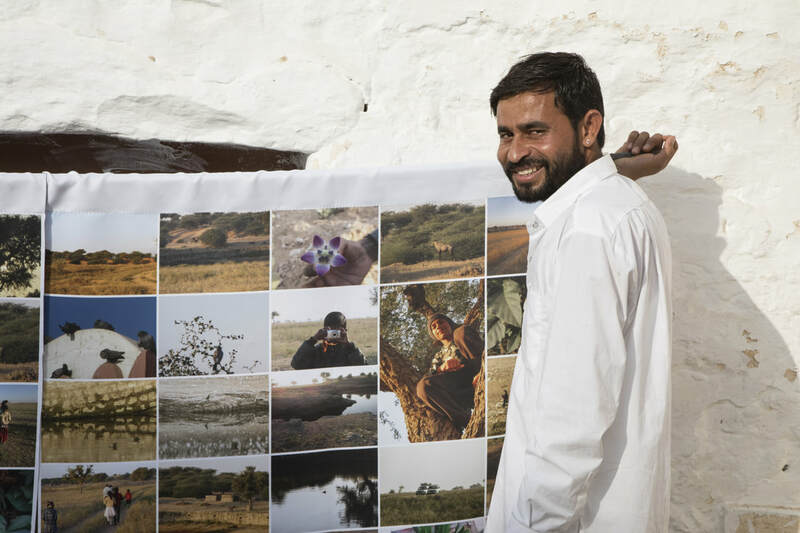 Two Deserts, One Sky Mural is Up in Rajasthan! I just wanted to share a few images from the opening Reception of the Two Deserts, One Sky Murals at Shri jasnath Asan in Rajasthan tonight. After two years of work and lots of support from a lot of people - together, we all made it happen. For those not familiar with the Two Deserts, One Sky art-based environmental education project please visit the project summary at http://skydanceblog.weebly.com/2016-2017-project.html. 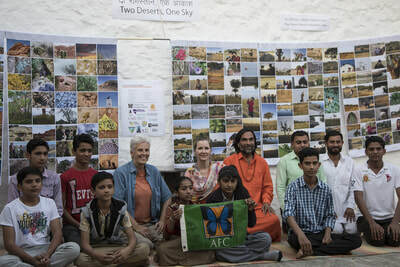 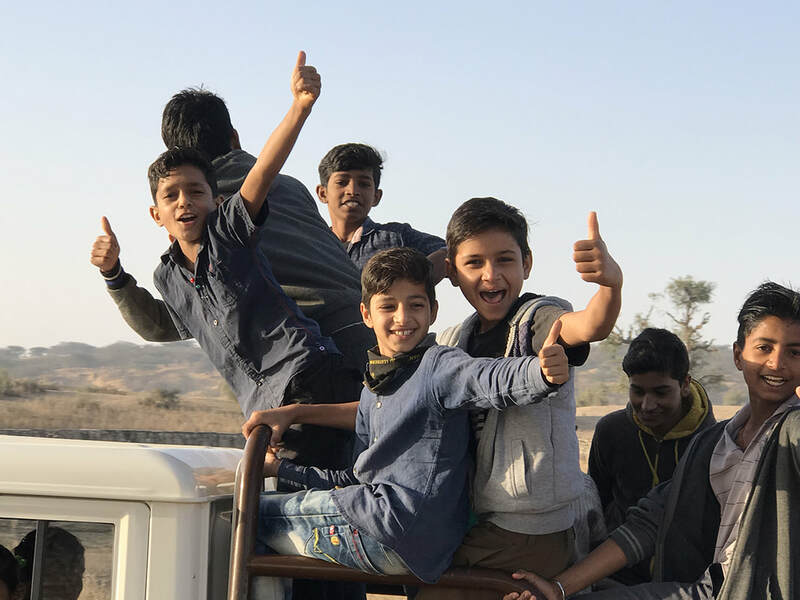 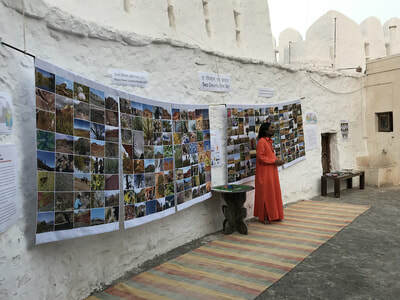 The biggest thanks goes out to the students photographers on two continents that did such an amazing job capturing the beauty of two deserts a world apart he Mojave Desert of the U.S.A. and the Thar Desert of Rajasthan.Your work is simply amazing. Thanks also goes out to the dedicated environmental educators at Lake Mead National Recreation Area, Red Rock Canyon NCA, and Desert National Wildlife Refuge as well as instructors from Adelson Educational Campus and Nevada Virtual Academy in the U.S.A. Also lets not forget the generosity of Artists for Conservation, Nevada Arts Council, National Endowments for the Arts, Want Expeditions, and Red Rock Audubon from the United States. 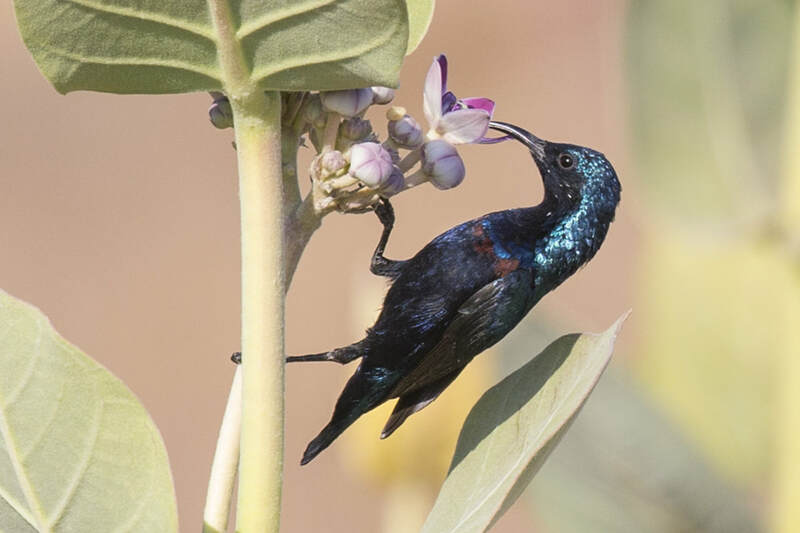 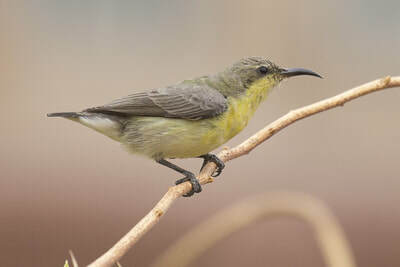 The female sunbird was carefully constructing a 8 cm long pendulous, pouch-like nest suspended from thin twigs of the tree. I have included an image from the web to show the skillfully designed pouched lateral entrance near the top which was not visible in my images. With OCD industriousness the female sunbird was collecting a myriad of suitable building materials - cob webs, cow hair, bits of cotton fiber, dry grass, tiny twigs and leaves, bits of tissue paper, and thin bits of wire. 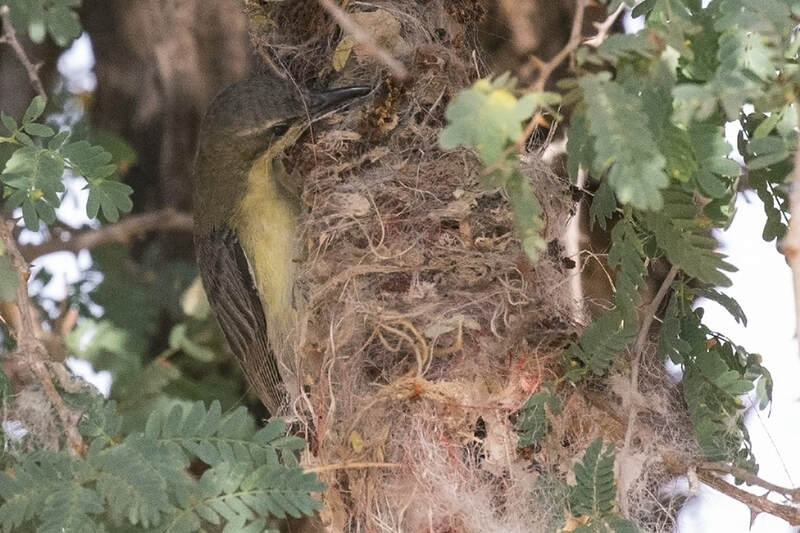 After about 8 days of hard almost, constant work, she will have a completed nest in which she will lay 2-3 milky grayish eggs. 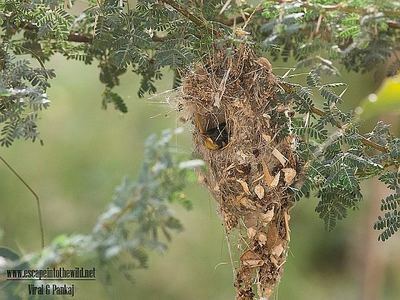 The eggs are incubated by female and hatch after 14 to 18 days. ​Though the female took on the task of building the nest as well as incubating the eggs, both parents will raise and care for the young. 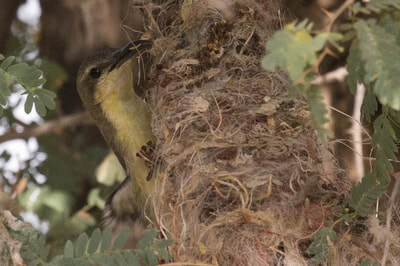 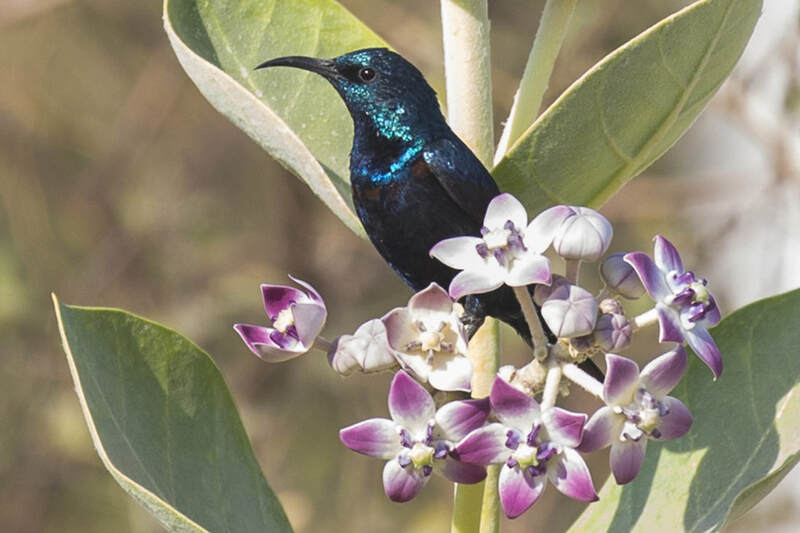 After a few short weeks in a safe secure nest, with meals delivered by Mom and Dad, the these young sunbirds will have to venture out into the big wide world of India and learn the skills they need to survive. 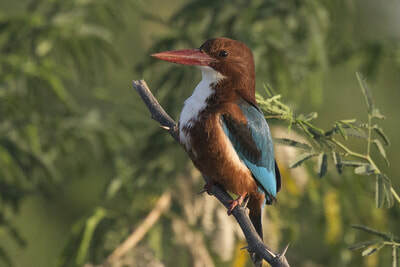 The White -throated Kingfisher, with its back and wings of brilliant turquoise, brilliant white chest and throat, and a rich chestnut head, is one bird in India that does not allow itself to be ignored. This dangerously dapper bird is one of the more showy non-migratory residents at the Ashram. Large at 27 - 28 cm, the kingfisher is less reliant on aquatic habitats than many kingfishers. Our showy friend can often be seen in the late afternoons perched on a power line behind the main buildings surveying the fallow fields below for a large variety of prey. Now and then he explodes in a flash of turquoise wings, drops to the ground and nabs some unsuspecting prey such as large insects, small reptiles, amphibians, small rodents or even an occasional bird. 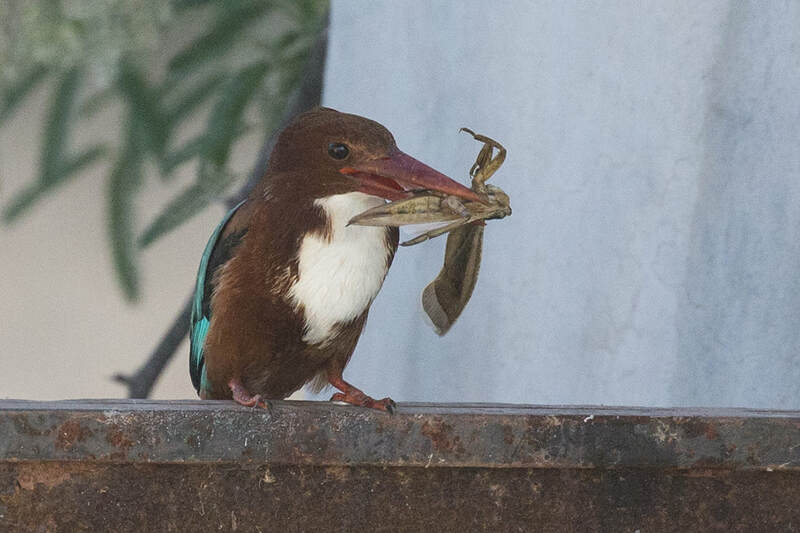 This visit the kingship was less than cooperative and stayed a long ways away from my lens. 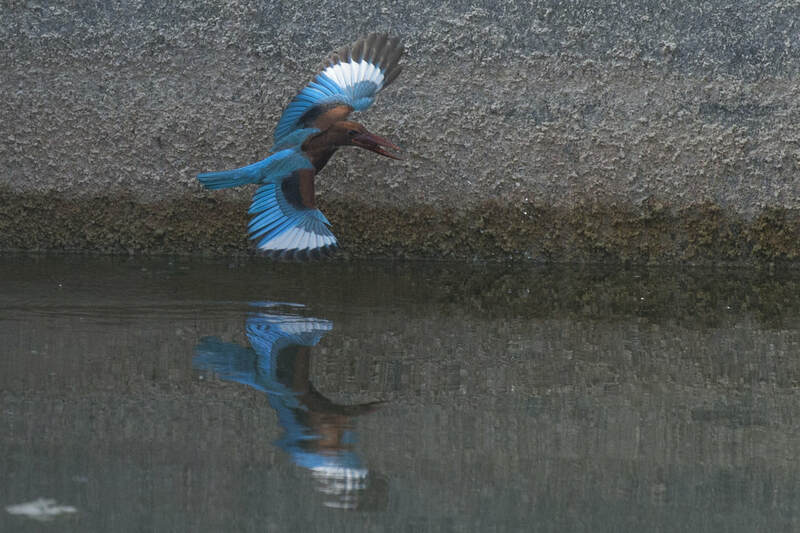 I included a couple of images I took last time I was here, because you just have to see the kingfisher’s stunning wings out stretched.